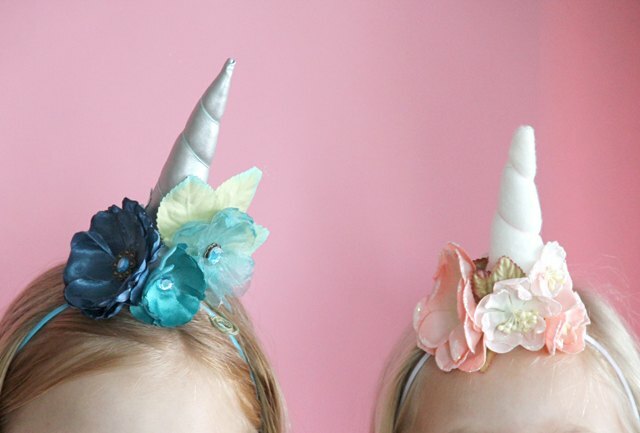 Let your inner unicorn run free with an easy-to-make DIY unicorn headband. 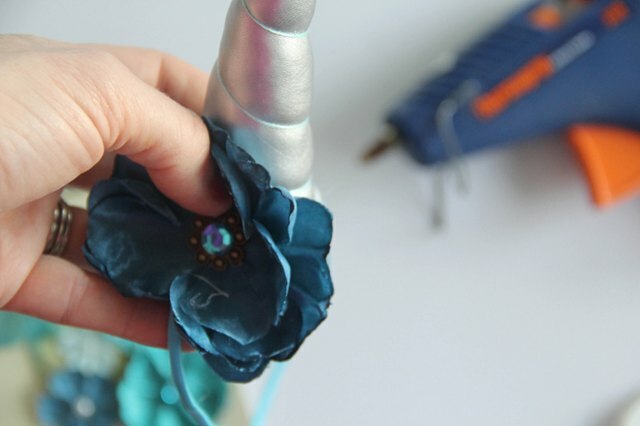 Download the free unicorn horn sewing pattern and add some whimsy to your next craft session. 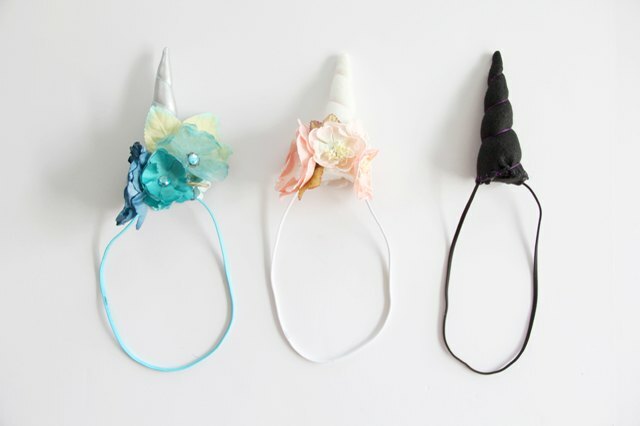 These unicorn headbands make great party gifts, or make the perfect start to a handmade unicorn costume. 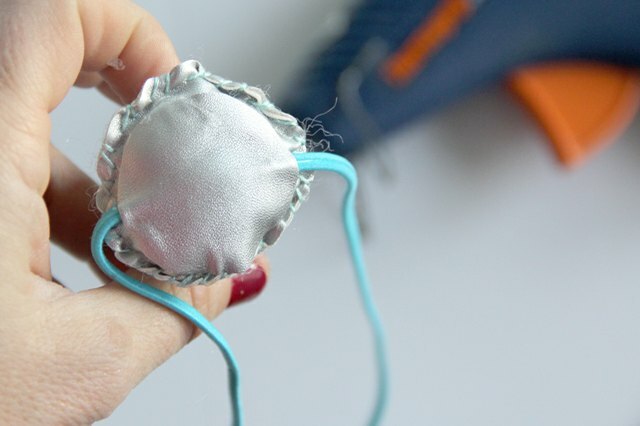 So, grab a needle and thread, some scrap fabric, and your glue gun to get started on all things magical! Print and cut out pattern pieces from paper, cutting along the black pattern lines. Lay the paper pattern flat on top of the scrap fabric, and cut around it. Cut 1 horn and 2 circle bases. The unicorn horn sewing pattern includes a 1/4-inch seam allowance. Fold unicorn horn in half, right sides together, matching up the side seams. Pin side seam from the tip of the unicorn horn down to the base. Sew using a 1/4-inch seam allowance. 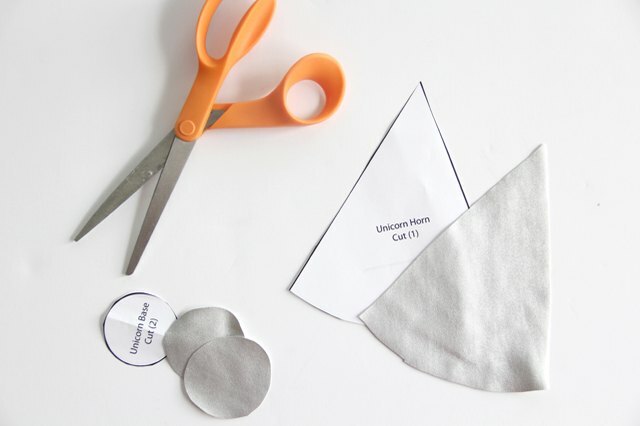 Trim seam allowance to 1/8-inch away from the sewn line. If needed, cut tip of unicorn horn, making sure not to cut through the sewn lines. Turn the unicorn horn right side out and use a blunt pointed object or your finger to push unicorn tip right side out. Gently stuff horn with polyester fiberfill until the horn is firm, yet squishy. 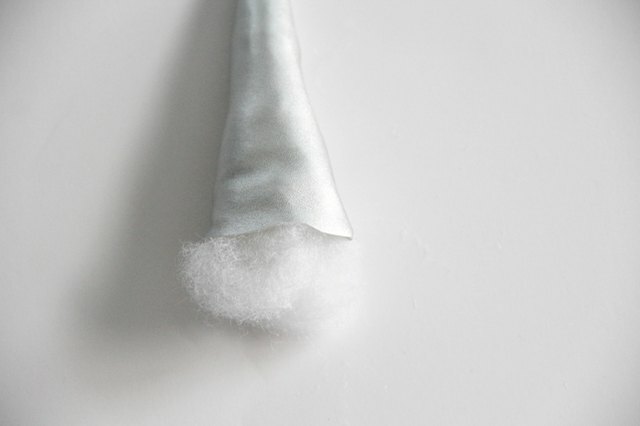 Remove any excess polyester fiberfill from the bottom of the horn. Place one circle base on the bottom of the unicorn horn, so that the right side of the base fabric is facing out. 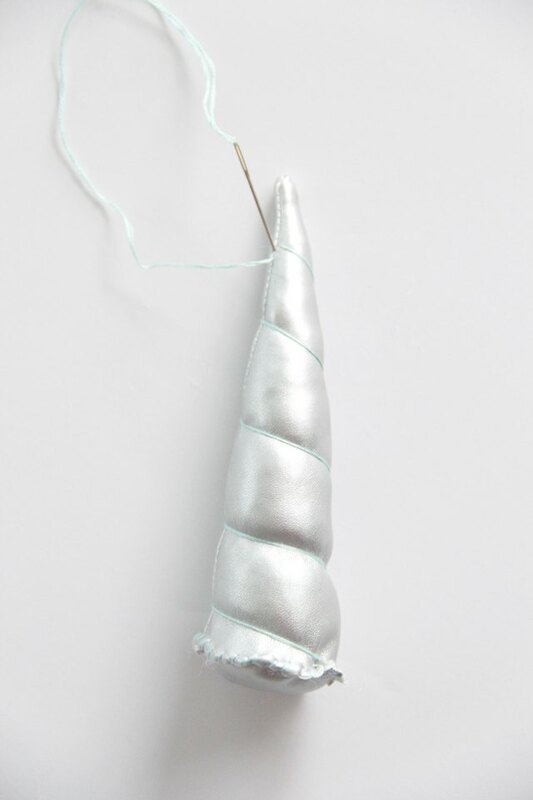 Using three strands of embroidery thread and an embroidery needle, whipstitch around circle base, attaching it to the base of the unicorn horn. Continue all the way around the circle until the horn is completely closed. With the excess embroidery thread, wrap the thread upward around the horn starting from the circle base until you reach the tip. 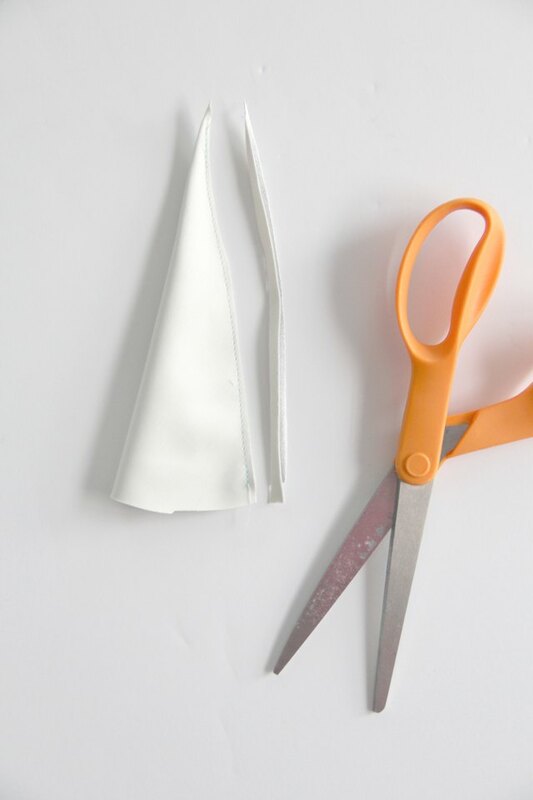 Once you reach the top, simply insert the needle into the back seam and bring it down to the bottom. Tie a knot in the thread to finish, and cut loose ends. 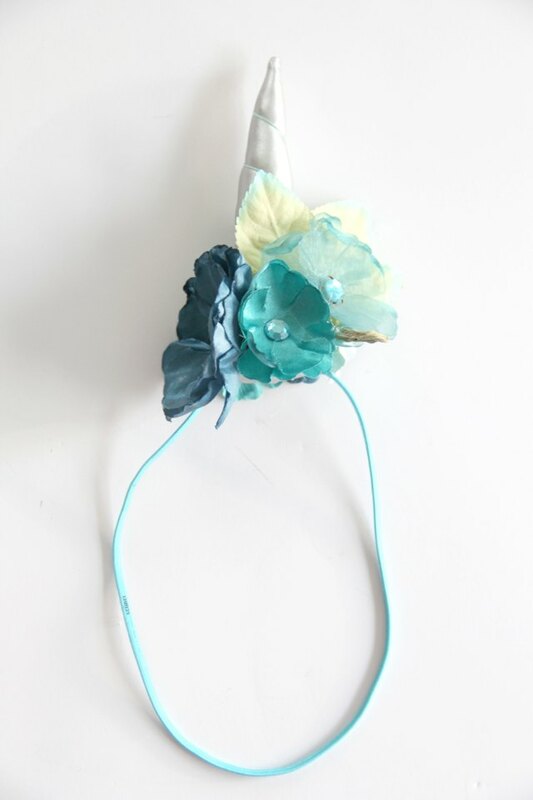 Apply hot glue to the base of your unicorn horn, and quickly attach the smooth side (the not-grippy side) of your elastic headband to the hot glue. Trim approximately 1/4 inch off around the entire circumference of your second circle base. Add a little more hot glue directly over your unicorn horn base and headband, apply second circle base and press gently but firmly. Allow glue to dry. For a more magical unicorn horn, add craft flowers to the base. 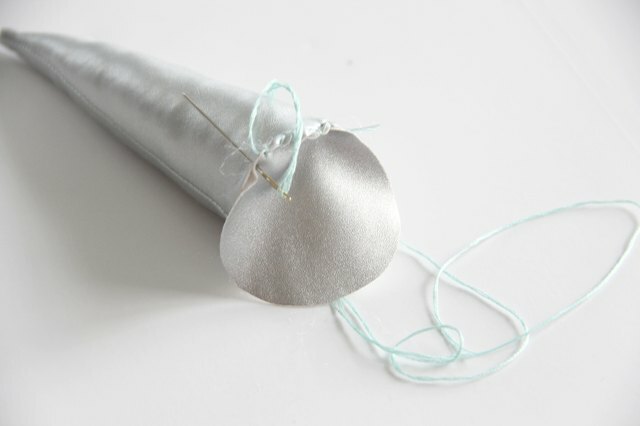 Simply apply hot glue directly to the horn, where you want the flower to be. Press the back of the flower firmly but gently, and allow to dry. 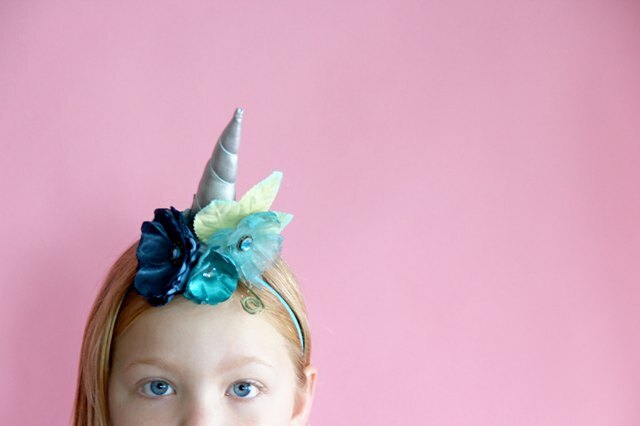 To wear the unicorn headband, slip the no-grip headband around your neck, pulling all of your hair through the elastic. 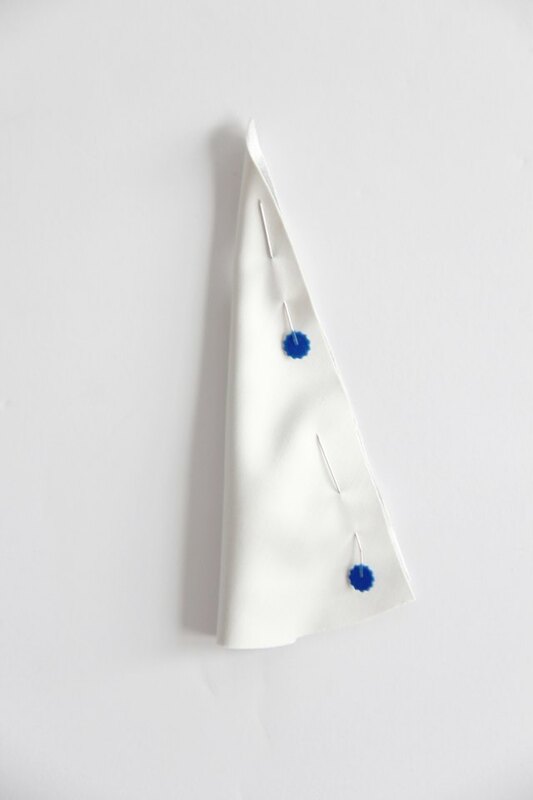 Then pull the elastic up and over the ears, placing the horn where you want on your forehead or top of your head. Dancing around while throwing glitter is optional.